The lavender flowers we use for this jam come from our own garden. Our apricot supplier is Mrs. Concetta, who has only about 20 beautiful apricot trees, which produce the first fruits in June. 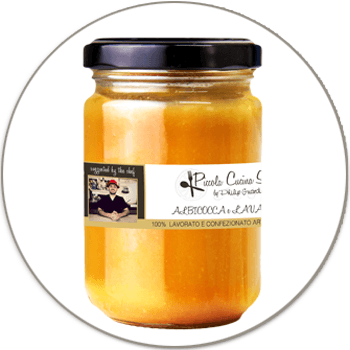 The jam is cooked gently in small quantities, using the whole fruit including the skin, together with the sugar in a copper pot with no added colors or preservatives.